We had such a wonderful time attending the Eat Dirt Mud Run 2014 this year! 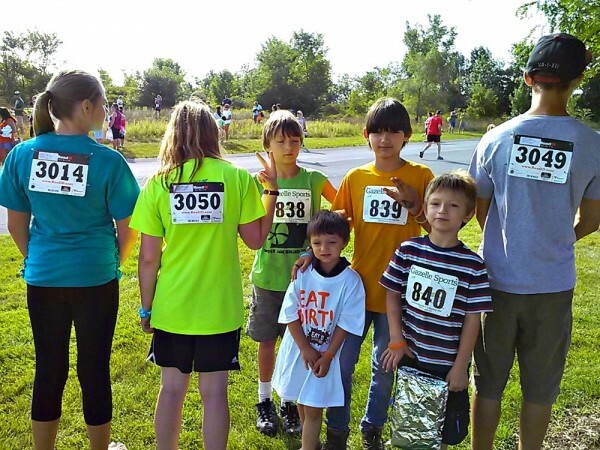 They had options for our older kids to run a 5K race as well as a shorter version for the littler kids. 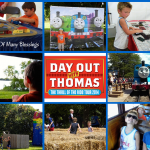 If you follow us on Instagram, you will have seen pictures shared through out the event. 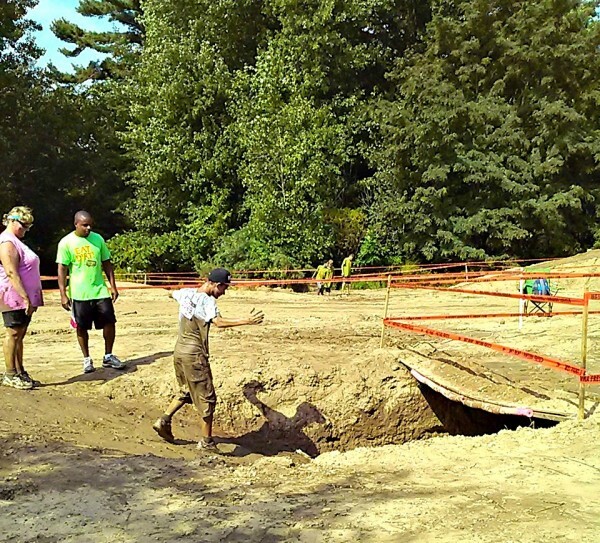 The Eat Dirt Mud Run 2014 isn’t you’r typical 5k race, oh no, it’s much more fun (and dirty!) 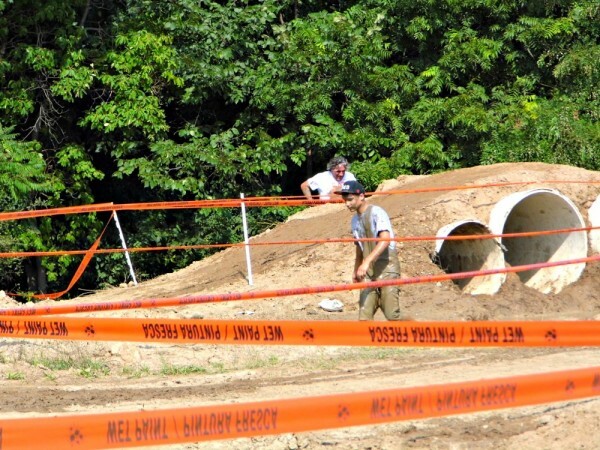 The Eat Dirt Mud run offers a course that is challenging enough for the most avid runner, and fun enough for someone just looking to get dirty in the mud fun. 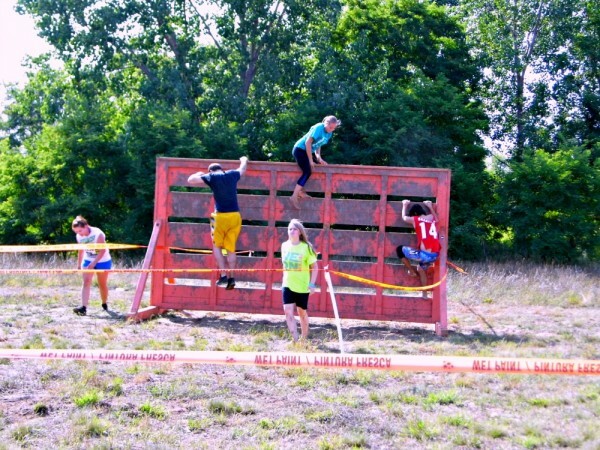 The main race, the 5K, offers many different obstacles for runners to enjoy including a wall to climb over, a giant rope web to climb, a huge mud slide into a mud pool, mud hills, balancing over mud pits, and lots more mud fun! During this race, I realized that 2 of my kids need to get into track or cross country because they finished in an amazing place for not even training!! 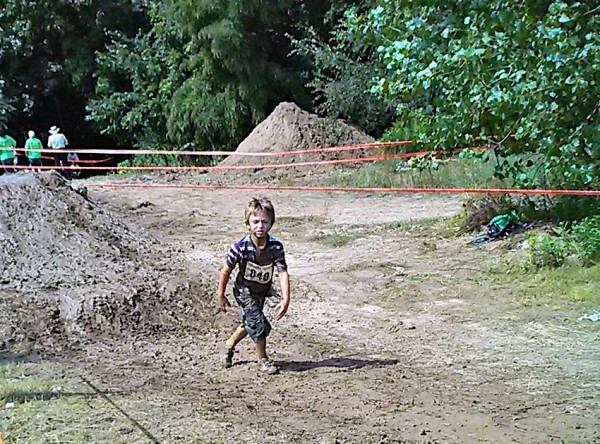 Dustin’s finish time was 32:51, Ethan’s wasn’t timed but he was one of the first finishers in the mini mud race. 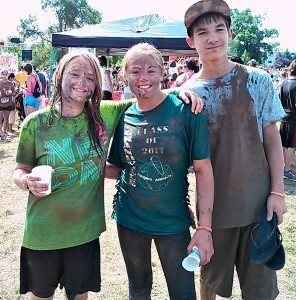 3 Kids ready for the 5K Eat Dirt Mud Run 2014. 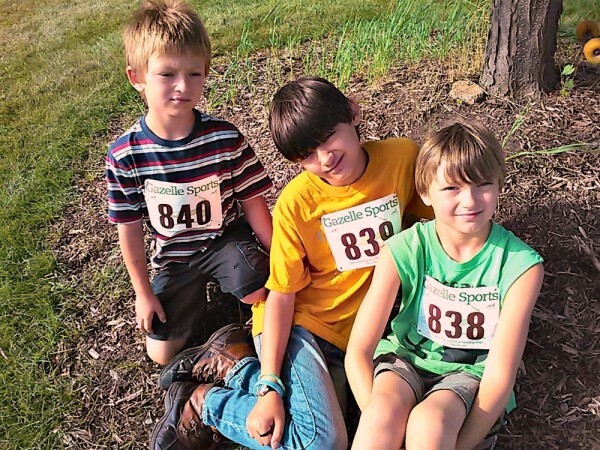 Our 3 Mini-Mud Runners ready to go and waiting for the race. A group picture of all of our runners ready to go. 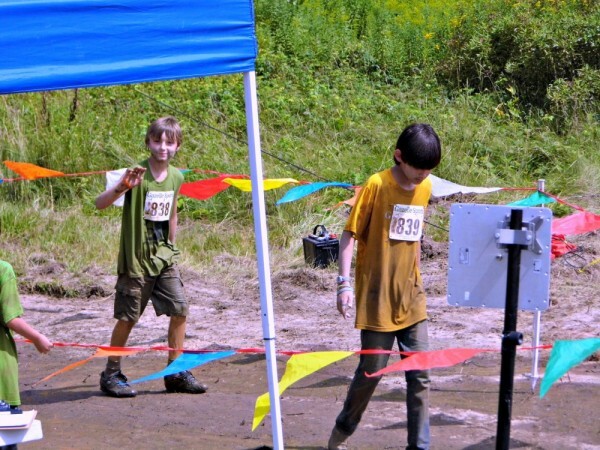 The 3 older kids ran the last 5K race of the day, after they started we had the Kids Mini-Mud race, so we had to be back at the starting line in less then 1 hour with the 3 younger kids. I will say keeping track of everyone in a busy place like this was interesting. 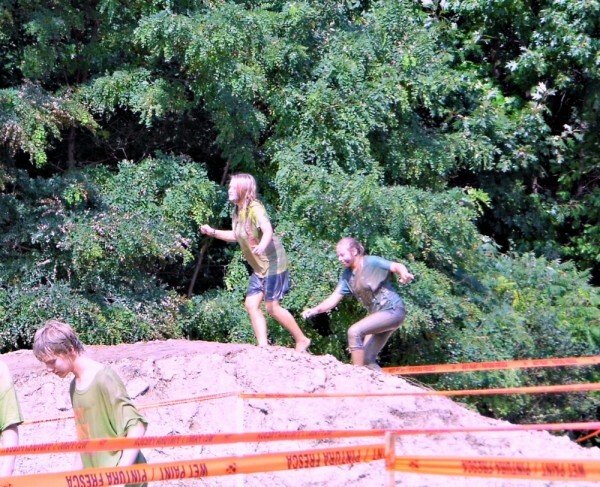 That hill Dustin is walking down is slippery mud that leads down to a mud cavern with water that you walk through, and then walk back up the other side of course covered in slippery mud. 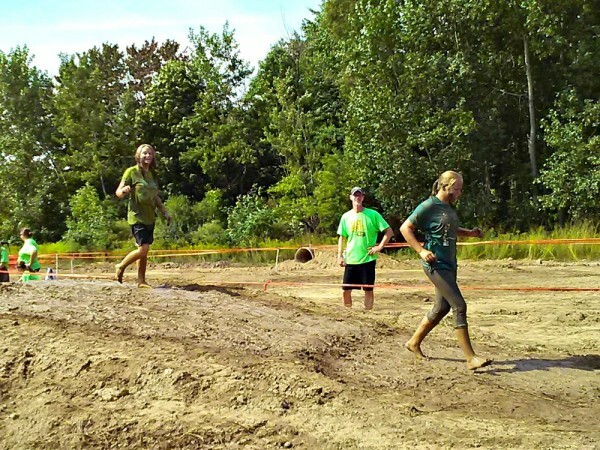 We arrive at the mud run and get out of the car, at which time I notice Serena isn’t wearing shoes. 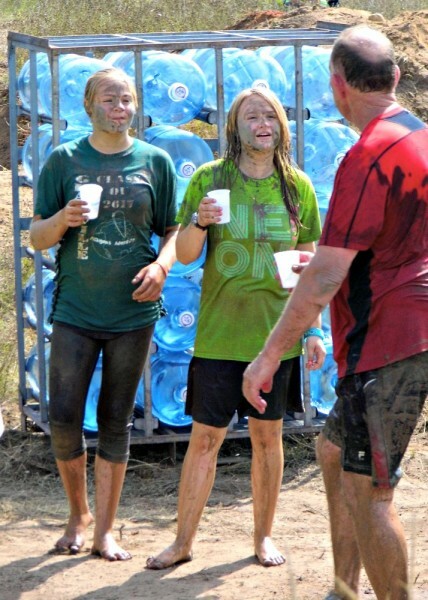 So I ask her where her shoes are, she then proceeds to tell me that she didn’t bring any… I say, so your going to run a 5K race through obstacles and mud pits with no shoes? Yes mom, I walk around without shoes all the time so my feet are callused. 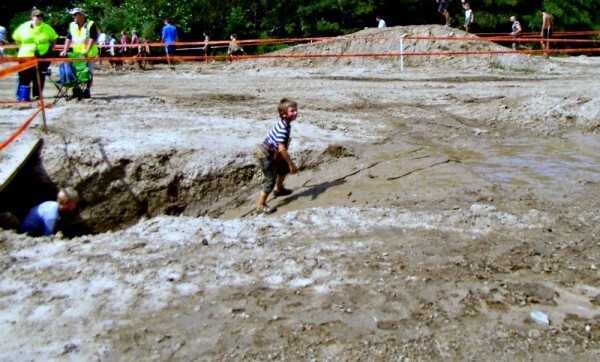 Dustin getting to the mud obstacle course. The cement tunnels you see there, well when you come out of them you are in a giant mud lake. The lake in which Serena and Hailey didn’t just swim through to get out, they decided to swim around in it before moving on. 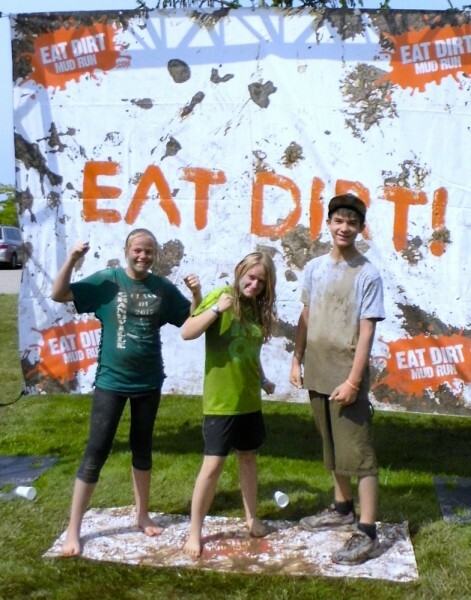 3 proud, dirty, and exhausted mud runners! 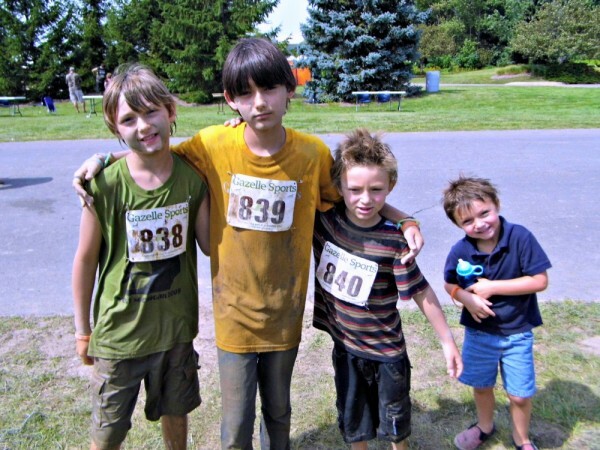 The Kids Mini-Mud race is a shorter version of the race, but still gives them plenty of chances to get MUDDY! It was perfect for the younger kids. This is when things got confusing. 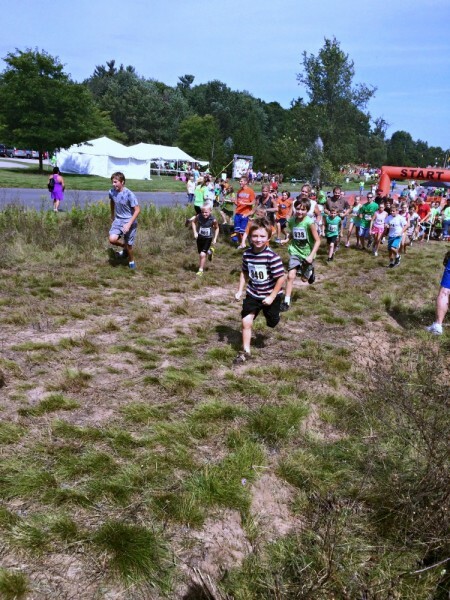 We had 2 kids that hadn’t finished their 5K race yet, 1 that had crossed the finish line as the little kids race started. 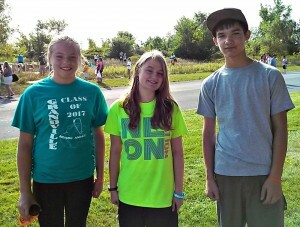 We hadn’t told the big kids to meet us anywhere other then the finish line. So I had to find them. Jake had to see the younger kids off, the Cody and Anthony were supposed to stay with Ethan, but ended up getting separated. 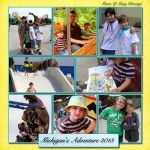 So we missed tons of pictures of the younger boys running the race. 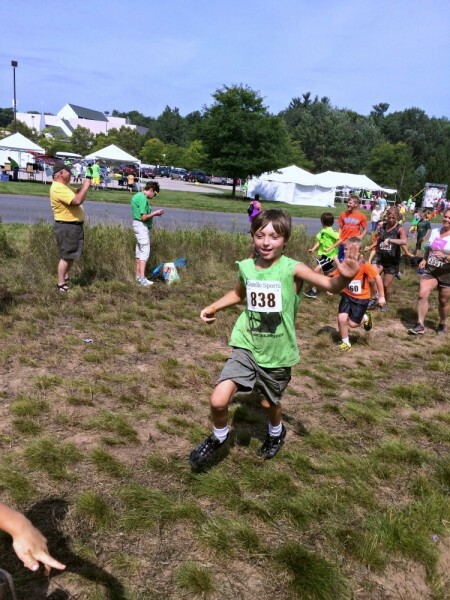 I finally found where Ethan who was no where near his brothers and followed him to the finish line. After he finished I realized why no one was with him, the kids run was let off in quite a few different groups so that the track wouldn’t get clogged up, their group was the very last to go. 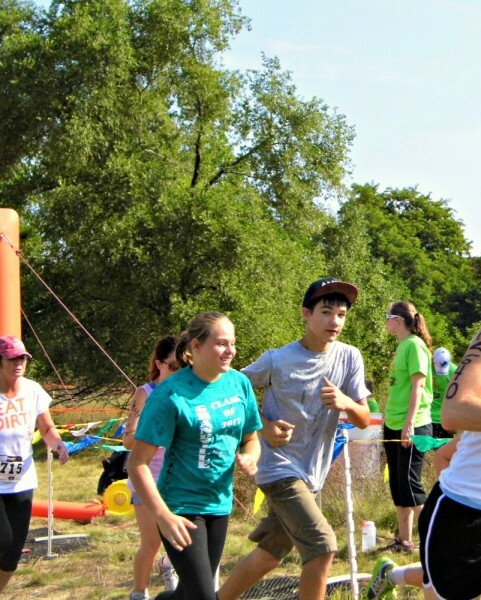 When he finished he was in the front of the kids group he was so fast! I was grateful that I followed him, with all those people around all I had to do was turn my back for a minute and he would be gone. 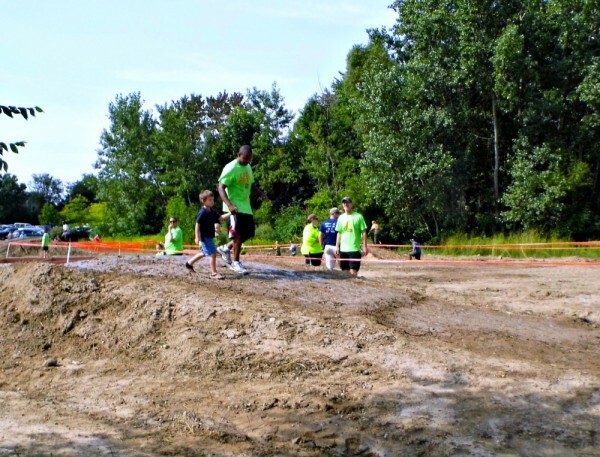 Just finishing up the obstacle mud course, and looking exhausted! Anthony finishing, Cody went down to greet him. 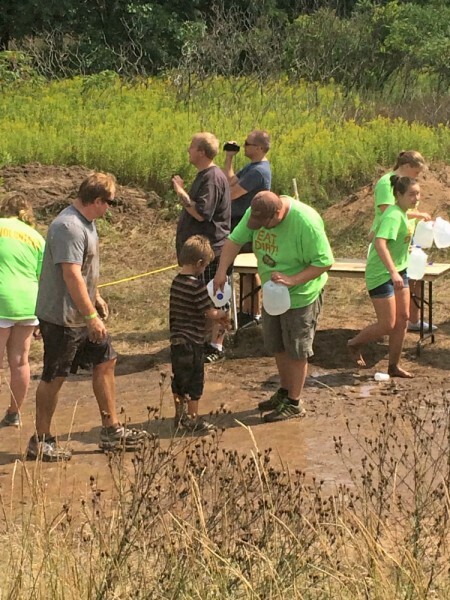 It is a great thing that they wash everyone’s hands off with water just past the finish line. 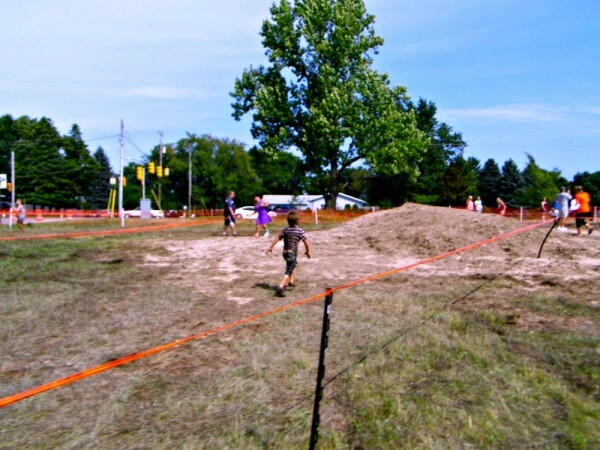 They also have a wash down area the kids can get washed off after the race and porta-potties to get changed in. The water to wash of in was hose cold water though, so next year we will bring towels with us for everyone to walk to the car with. 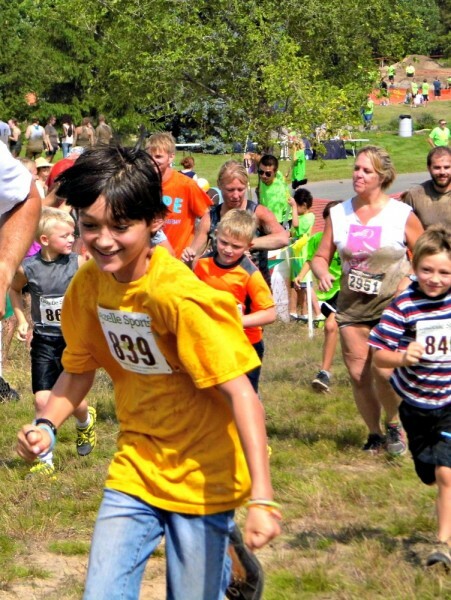 There were a few things we learned from the kids running in the Eat Dirt Mud Run this year, it was the first time the kids ran in any race of this size so there were definitely a few lessons to be learned. 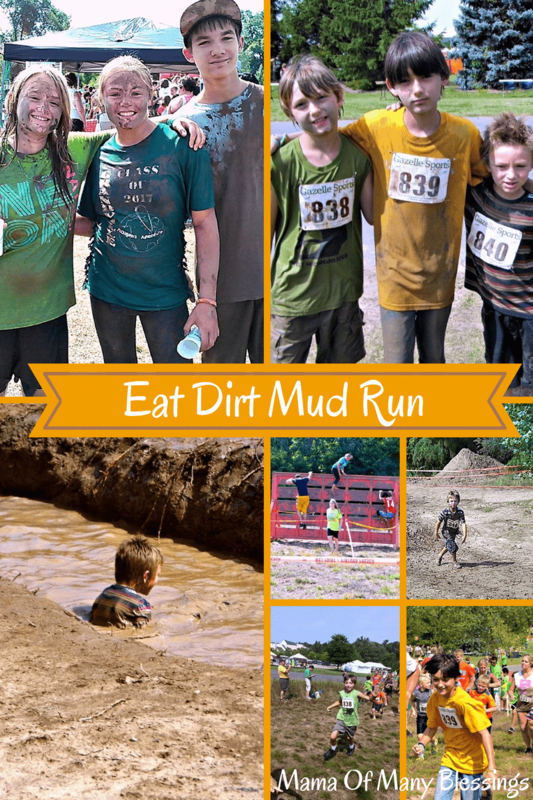 So here are a few of my tips for anyone who will be running in a 5K mud race in the future. Wear tight pants or shorts. Once they get wet and muddy they will fall off while you run. Picking your pants up every couple minutes while running is not fun. 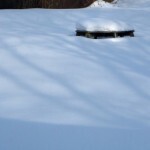 Bring a cooler to keep water in. A cold drink after being out in the heat or running a race is what you want, unfortunately if you don’t keep them in a cooler they will be warm by the end of the day. If you are not running first thing in the morning, bring sack lunch or have something ready to eat at home. By the time you will get home, everyone will be exhausted and not feel like making lunch 😉 ! Pretreat your asthmatic child before the race, even if they don’t normally get exercise induced asthma and bring inhalers with you. When your really allergic to ragweed, stand next to it for a while, then run a mile long race, you can look terrible and need meds when you get back. If you have multiple kids running at different times, make sure you have plenty of people to keep track of them all. Bring towels or blankets to warm up with after the race. The water to wash off in is freezing cold and the kids were all shivering afterwards (even though it was a very hot and humid day) so next year we will remember towels. 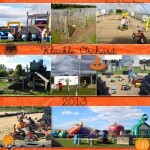 Overall we had an amazing time, and enjoyed promoting this wonderfully muddy event for charity. 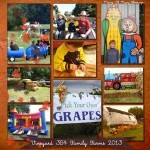 We hope to be able to participate again next year. 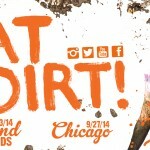 On September 27th, 2014 they will be having the Chicago Eat Dirt Mud Run, for any of my Chicago area followers stop over and get signed up! Disclaimer: We were provided for tickets to the Eat Dirt Mud Run 2014, in exchange we are sharing our honest opinions of the event. All opinions are the honest opinions of my children or myself. 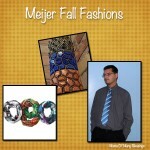 For more information about my Disclosure Policy stop over and see my Disclosure Policy page.